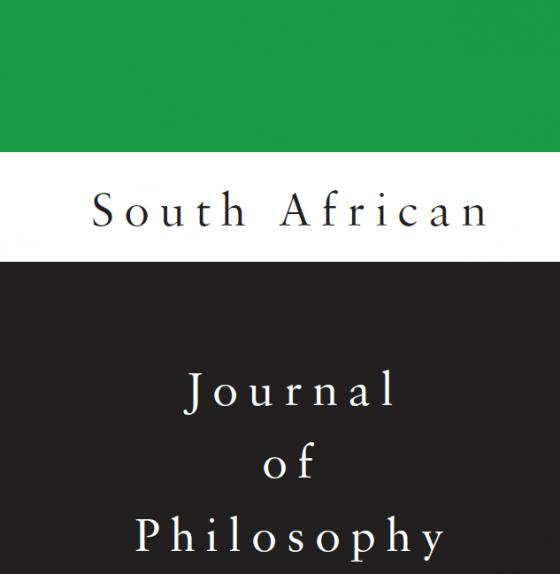 South African Journal of Philosophy , Volume 35, Issue 4 is a special issue, entitled “Africanising the philosophy curriculum in Universities in Africa.” The guest editorial, written by Edwin Etieyibo, aims to contextualise the articles appearing in the special issue. In this contextualisation he wishes to highlight the difficult task that we encounter as soon as we talk about Africanising the philosophy curriculum in Universities in Africa. To Africanise the philosophy curriculum is to include some important philosophical traditions in the philosophical norms and world philosophies. “The point is that the African philosophical tradition or traditions have been largely ignored in the history of Philosophy and this marginalisation starves the discipline of some important perspective and tradition(s), “says Etieyibo in his Introduction. As part of engaging with these issues and contributions to discussions and debates concerning a diversified, transformed and Africanised philosophy curriculum, Etieyibo, Department of Philosophy, University of Witwatersrand, convened a workshop entitled, “What are you Teaching Me? Africanising the Philosophy Curricula in Universities in Africa.” This special issue is devoted to some of the presentations at this workshop. Some of the articles in the special issue provide recommendations about how to go about the Africanisation project and what to include in an Africanised philosophy curriculum, while other articles ask questions regarding whether such obligations exist, and if they do, who has them and how extensive are they. Etieyibo’s article in this special issue, entitled, “Why ought the philosophy curricula in universities in Africa be Africanised?” explores this in greater detail and can be read at no cost until the end of January 2017 here. Once we move beyond issues such as whether it is possible to Africanise the philosophy curriculum in universities in Africa and what it will mean to Africanise the philosophy curriculum, a central issue that needs to be taken up is what subjects, topics, and issues should form part of the content of an Africanised philosophy curriculum. This issue is taken up by Davids Martens, Simphiwe Sesanti and Thaddeus Metz in their articles. Sesanti suggests the need to teach African culture modules in his article, “Africanising the philosophy curriculum through teaching African culture modules: An African Renaissance act.” This article is available to read at no cost until the end of January here. For Etieyibo, his hope for the special issue is to initiate, extend and feed the ground for a meaningful conversation about Africanising the philosophy curriculum in universities in Africa. Read Etieyibo’s Introduction to this special issue here .